but i think love this tinfoil suit that the brody wore to his premiere? i can't decide. brills or bust? 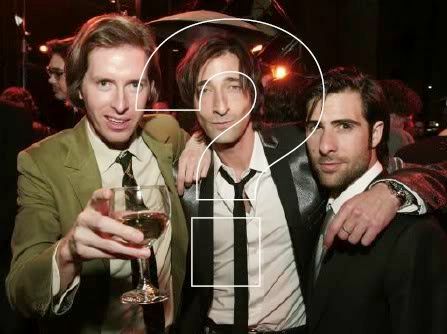 also..wes anderson? starting to look like someone's social studies teacher. or in this picture, your drunk uncle. also..schwartzman? stop practicing tom cruise poses in your mirror. creepy.